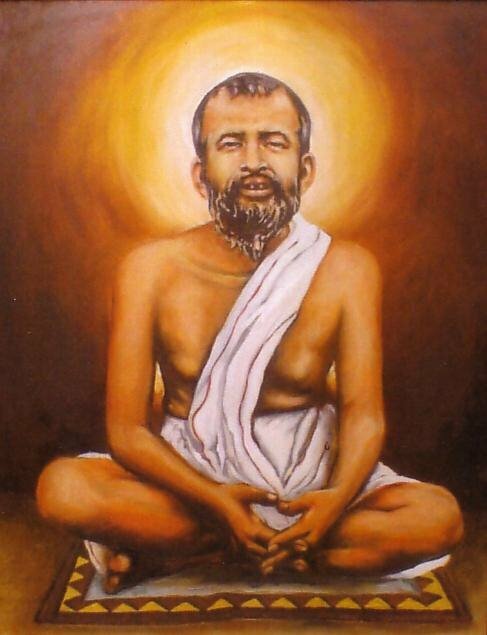 Ramakrishna Paramahansa, was great believer in equality of all religion. He has practiced and followed Hinduism, Islam and Christianity in his life time. In 1861, he accepted Bhairavi Brahmani. In 1865, Ramakrishna get the knowledge of Advaita Vedanta, the Hindu philosophy which emphasizes non-dualism. In 1986, he adopted Islam and start practices as true Muslim with five times Namaz. In 1873, he started the practice of Christianity. He realizes that there are differences among religions in the manner they preaches and practice but in spite of these differences, all religions lead to the same ultimate goal of humanity and spirituality. All religions lead to the same God name it as Ram, Allah or Jesus. This entry was posted in Philosophy, Ramakrishna Paramahansa, Religion, Uncategorized and tagged Advaita Vedanta, Allah, Christianity, Hindu, Hinduism, Islam, Jesus, Paramahansa, Philosophy, Ramakrishna, Ramakrishna Paramahansa, Religion and Spirituality. Bookmark the permalink. Why be angry when judged? Why Charity is not a Good Idea? Like and dislike keeps on changing, but wisdom and truth remain the same. Sooner or later people will realize by themselves. I know you have good smile, but with teeth it would look great!!! Who are you, when no one is looking? Being wise is really a wise thing?